If you’ve got a problem with mould, moisture or dampness in your home or business you need to consult a professional to remove it and make sure it doesn’t come back again. Get Your Business Featured HERE! Are you a Mould Removal Company who goes the extra mile? Get your business featured as a TrustedCleaner Verified / Recommended Business. Get free leads, build trust & stand out from the crowd. An IIRC certified company providing mould removal and water clean-up services to homes and businesses in Brisbane and South-East Queensland. 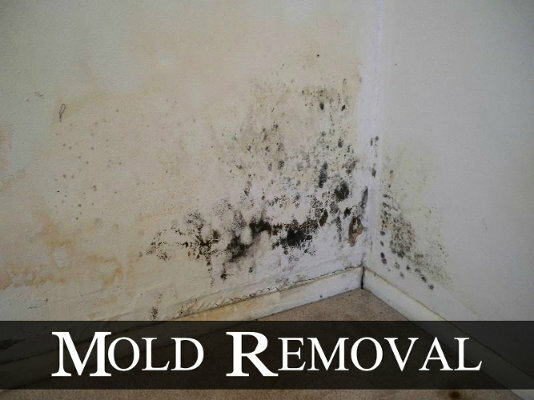 They offer a money-back satisfaction guarantee, only use trained/experienced staff and have the latest technology needed to identify and remove mould. Provides a range of solutions to deal with moisture, damp and mould. All work full licensed, insured and guaranteed. They provide an in-house mould inspection conducted by Doctor Damp consultants, who will recommend a removal/treatment plan. Servicing Brisbane, Gold Coast, Sunshine Coast, Toowoomba. Juvenaire are one of Brisbane’s leading mould removal experts, & have over 20 years experience in the industry. They provide a range of services to deal with the root cause of moisture issues, and clean/remove mould from your home or business. A Brisbane mould removal expert who use a unique, safe and natural process to remove mould and odour from your home. They offer a 3 year guarantee on all work, and achieve results using a natural silver based product/compound known as “Lysis Silber”. Servicing South East Queensland (including Brisbane, Gold Coast and Sunshine Coast areas). Covering Brisbane and South East Queensland, MouldMen provide a internal and external mould removal service for commercial buildings, apartments and homes. They aim to eliminate mould and prevent future growth using safe, 3rd party tested products and processes. Mould can is dangerous, and has been linked to a number of health disorders, allergies and chronic issues. It’s essential mould is removed by a qualified and experienced professional, who is able to treat visible / invisible mould, as well as airborne spores. We recommend choosing a full-service restoration and cleaning management company who services all areas of Brisbane (and most of Queensland) providing a round the clock, 7 day a week service. After an initial on-site assessment (which includes visual inspection, sampling & use of moisture/air quality meters) you’ll receive a personalised plan which outlines their recommendations. These will depend on the level of mould and the results of the initial testing. Many dedicated mould removal teams use a 5-step process to get rid of existing mould, and stop it coming back. Call a professional today and you (and your family) will soon be able to enjoy a cleaner, healthier an safer home (or office) environment. Other services include disaster recovery, flood clean-up, fire restoration and odour control.